Need A Phone While in Israel? The Unlimited plan is valid for up to 30 days of service. If you need data for your trip, please consider either the iPhone or Smartphone rental as the standard rental does not have data capabilities. A data enabled phone is the perfect travel tool. You can browse the web, check your emails, use apps such as Viber, Google Maps, Google Translate and many more. 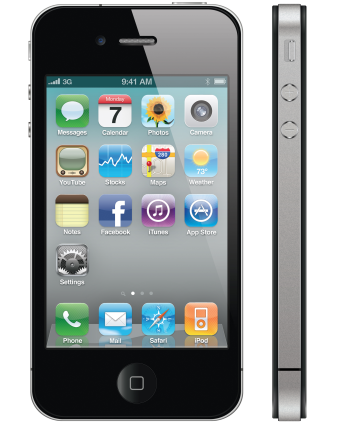 Please note that Skype is not available on the Smartphone rental but you can use it on the iPhone. If you want to use Skype with video enabled, we recommend the unlimited data package as video streaming consumes huge amounts of data. *PLUS the price of (1) Israeli Credit Voucher ($99.95). This will be in your cart upon checkout. Our Israel cell phone rentals offer unlimited calling within Israel and back to the United States and Canada (plus India, China and Thailand). In addition, the service offers unlimited data at 4G, LTE speeds.. Please note that you much rent a Deluxe phone or the iPhone in order to be able to benefit from the data - the Standard Rental is a basic phone that does not offer data. You will receive an Israeli phone number, which is affordable and convenient for family members, friends and associates in Israel to dial your number, as well as the option to add on a US phone number to make it affordable for contacts in the US or Canada to contact you. If you want to retain your current US or Canadian phone number, you can forward it to the new US number thereby receiving all the benefits of roaming but without the costs. The US number add on is available during checkout as is the optional insurance. We offer 3 cell phone rental options for travelers to Israel. The Standard Rental is a no nonsense, easy to use cell phone that allows you to make and receive phone calls and text messages - that's it. If you do not need a sophisticated phone with email or web browsing capabilities, this is the option we recommend. The learning curve on this phone is a couple of minutes which many travelers appreciate. However, since many travelers rely on data for checking emails, using apps such as Google Maps, Skype and others, the majority of our customers choose a smartphone, either the Deluxe Rental or the iPhone. The Deluxe Rental is an Android Samsung phone with WiFi and data capabilities. The third solution is the iPhone Rental. We recommend that if back home your are accustomed to using a Android, rent the Android. If you are used to an iPhone, rent and iPhone. That way you do not have to familiarize yourself with the phones operating system. How Do Cellular Abroad Rates For Israel Compare to Your Current Carrier? Your service will be activated on the date you have entered in to our system as your departure date. We will send you a prepaid return label with your package. Please retain it and, upon return from your trip, drop off the package at FedEx (as per instructions) within 2 business days from the last day of your rental period. Cellular Abroad will charge late fees at their own discretion if the return shipping date is later than 2 business days from the last day of your rental period. For more information, see Cellular Abroad's full Terms & Conditions. Along with your rental you are purchasing an initial $99.95 credit voucher which will give you unlimited calling back to the United States, China, Thailand, India or Canada and within Israel. It will also give you Unlimited data (only valid for Deluxe and iPhone Rentals). Can I use the phone elsewhere? The phone rental comes with a SIM card specific for Israel. It does not roam outside of the country. Can I test the phone before my trip? You can power the phone on, you can download apps (provided you are renting a smartphone) using Wi Fi but you cannot make or receive calls or use the 4G data outside of Israel. Yes, rental insurance is available for $19.50 as an add-on once you add your item to the cart. We recommend that you add insurance to your rental. See what is covered here.